It’s been an amazing journey at Jacobs, and in life generally since my “major depressive event” or breakdown about 12 years ago. To see the societal and organisational attitude toward mental illness change so much has been astounding. I’ve been fortunate in recent years to be able to share my story all over the world within Jacobs and externally with competitor organisations and through industry events. I’ve been told that having access to the verbatim speech delivered to the Auckland office has been helpful for people suffering from a mental illness or for carers of those suffering. For those who haven’t experienced a mental health issue, it is not uncommon to believe you never will. But my experience taught me that no-one is immune. Since then I’ve understood how important it is to take preventative action, and prioritise maintaining positive mental health. Probably the most important was finding something I could do to serve others away from work and family – my way was using my business skills to help guarantee the financial viability of a set of not-for profit counselling centres. From a corporate perspective, it has been amazing seeing the influence a few committed people can have on a global organisation of over 75,000 engineers, scientists, architects and planners and how those few multiply when given “permission”. Over the past 10 years, the over-riding aim of Jacobs’ mental health initiatives in Australia and New Zealand has been to create a working environment where our people can feel comfortable to ask for help. The initiatives started with awareness raising through community events such as Movember, but as we, as an organisation, became more aware, we saw the need to do more to protect our people and to care for them if they were to experience a mental illness. We realised that we spent a significant amount of money protecting our staff from physical injury while out on construction sites, but very little on the mental health of our people, even though this was the cause of the longest periods of time off work. We stepped up the awareness raising with workshops run by beyondblue. We also partnered with beyondblue to implement training for managers to help them to better identify the signs of stress-related mental illness in the workplace. Rather than thinking we could prevent mental illness in our workforce, we sought to normalise it. We moved the dial from being surprised at incidences of mental illness to expecting them. We continued to put measures in place to prevent working at Jacobs being the cause of mental illness in our people, but also focussed on what we could do to care for our people when the wider pressures of life were impacting on their mental health. Like many organisations, Jacobs engaged an EAP provider to provide counselling services for employees. We also extended those services to direct family members of staff. We found that the utilisation of the EAP service increased as leadership in Australia and New Zealand spoke more openly about mental health and shared their personal stories of their own battles with mental illness or those of family members. Over the years we have brought the discussion of mental health into new staff inductions so that on day-one, new staff know that this is a key issue and that leadership is committed to helping. We have come a long way in reducing the stigma associated with mental illness but there is still a long way to go. These sessions come under our “Mental Health Matters” program. This program crosses over with our Inclusion and Diversity (I&D) program under the Disability portfolio. We positioned mental health in this way because we didn’t want it to be just in the realm of HSE and/or HR. The focus of our I&D portfolios is to create an environment where people can bring their whole self to work. For so long, the stigma of mental illness resulted in exclusion rather than inclusion. A program that originated in Jacobs UK that Australia New Zealand and now the United States is supporting is the Positive Mental Health Champions initiative. This program trains staff to be a first point of contact in each office on mental health issues – just like having a safety champion for each office. Around 1,000 of our Australian staff participated in the Check-in, which represents about 20% of our workforce in Australia. About 25% of that cohort were found to be experiencing moderate to high levels of clinical depression or anxiety. Only about 2% were being treated by a medical practitioner. Of the 25%, 77% knew something was wrong but were unaware they had a mental illness. For some of these people, the report they received from Medibio was the catalyst for discussing their issues for the first time with their families and having a plan to bring them back to full health. 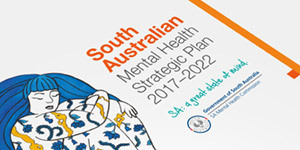 While the results are totally confidential, the fact that we implemented this initiative in Jacobs, and the open culture we have tried to create, resulted in the privilege of being approached by a number of our people wanting to chat about their experience with mental illness and how they felt OK to talk about it in our workplace. We presented the program and the outcomes to our global leadership team meeting in Florida earlier this year and the Check-in is now being rolled out globally. I’d commend this initiative to any organisation. Ross Jones is a Company Director of Jacobs with a passion for developing leaders at Jacobs and motivating staff to deliver their personal best. His career spans over 25 years, 19 of those with Jacobs (and its predecessor organisations). His technical background is as an Environmental Planner/Scientist with extensive experience in environmental impact assessment of major infrastructure and energy projects. 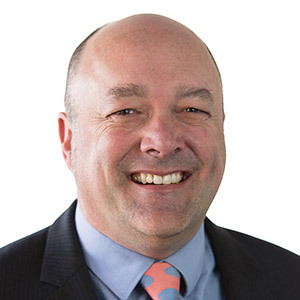 To remain relevant, Ross has continued his involvement in the technical aspects and governance of major projects and is currently working on the Westconnex New M5-East D&C and the Parramatta Light Rail Environmental Impact Statement. Ross has held a number of general management, operational leadership, client management and project management roles. He is experienced in leading businesses in Australia, New Zealand, Asia, Europe and South America. Ross is the Executive Sponsor, responsible for the implementation of D&I initiatives in the Aboriginal & Torres Strait Islander (ATSI) portfolio and has been one of the key drivers in Jacobs’ mental health initiatives.